Now that it is full on summer, I am ready to stay out of the kitchen. Who needs to add heat to an already warm day by firing up the oven or stove? I don't know about your household, but at our house the menu takes a shift come summer driven both by the desire to not heat up the kitchen and the desire to enjoy the summer fresh flavor of the vegetables we grow in the garden. I think the one characteristic that I could call out about many of the favorite summer time meals is the balance of hot and cold. Think about a BLT, one of my favorite summertime meals (and super fast to prepare with Hormel Fully Cooked Bacon) - you have the warm crunchy toast, the cool mayonnaise, the crisp and cool lettuce, the cool juicy sweet tomato and warm salty bacon. There is something so appealing to me about the blend of hot and cold, not to mention all of the garden fresh flavor of vegetables. Another favorite is soft tacos made with grilled chicken (no kitchen heat required) - we simply grill our chicken, slice it into thin strips and place it on our tortilla and top it with cool sour cream, shredded cheese, shredded lettuce, diced tomatoes, diced hot peppers and diced onions and then add a bit of sauce or salsa. Again, a bite that provides the contrast of temperature and the summer fresh flavors of produce from the garden (or farmer's market - I haven't mastered lettuce, it always goes to seed). We also use our grill to make hamburgers and cheeseburgers, grilled chicken served with baked potatoes and grilled fish served with fresh, cool homemade coleslaw. The kids are out of school and summer is on the horizon—ease into your new routine with fresh and simple meals to keep your family full and happy this season! HORMEL® Fully Cooked Bacon and Peloponnese® olives. Chicken and HORMEL® Real Bacon Bits. • Keep it light this summer with a Warm Chicken and Orange Salad. Take this dish—featuring HOUSE OF TSANG® Stir-fry Oil and HOUSE OF TSANG® SAIGON SIZZLE™—from your pantry to your table in just 15 minutes. The recipes have all been submitted and in just a few weeks, you can check out the HORMEL® Chili Facebook page for the "Savor Your Summer Recipe Contest" winner announcement. Visit https://www.facebook.com/hormel.chili to see the winner. What is your favorite summer-time snack or what recipes do you enjoy cooking with your family during the summer? It's funny how my reading seems to go in cycles. Not only the types of books I read, but ultimately it would seem commonalities in story lines too. I recently read Forever Amish by Kate Lloyd. As you can surmise from the title, this is another book in the Amish fiction genre for me - which seems to be the case for many of the books I have read lately. The strange thing is that this is the second book that I have read where an Englischer, as the Amish call them, finds themselves within the Amish community and an attraction blossoms. Each of those characters also had a familial tie to the Amish community, of which they were unaware until this point in their lives. This book was not the first one in the series, but that did not create any barriers in being able to jump right in and read the story. There is a bit of unknown in who the girl was that reached out to Sally and why she reached out to Sally, but that mystery was not only to the reader, but also to Sally. I thought that the Bishop made a great observation in talking with Sally when he said "Some Englischers look at us as the perfect society, but we have our share of troubles, trials, and temptations, just like anyone else." I think that is part of what makes the stories in Amish fiction so easy to relate to, even though I do not share many of the practices of the Amish faith...their lifestyle really is just a backdrop, a scene and they are the people that face the same issues, trials, and triumphs that everyone else does. Kate Lloyd wrote a nice story with characters that felt like family in Forever Amish. It also has a nice love story weaving its way into the story line. At the same time, there is a factor of reality check that makes you appreciate the real differences in the lifestyle the Amish live. The characters featured in the first two books of the trilogy are characters that were in the background of Forever Amish, so I am interested in reading those two books to better understand the backstory of them and the others that I met in reading Forever Amish. The latest book in the Legacy of Lancaster trilogy, Forever Amish introduces us to a young woman about to uncover a shocking secret and find an invitation to a new way of living. This is a story of forgiveness, legacies, and the ties that bind through generations. Sally Bingham needs some time away to sort through the changes in her life and to rethink her upcoming marriage. Despite her ailing father's hesitations, she takes off for a bed and breakfast in Lancaster County for a weekend away. But her best-laid plans leave her in a near collision with a bishop's buggy and in the home of a mysterious Amish woman named Lizzie. Lizzie introduces her to a different perspective on life, a charming farmhand named Armin--- and opens a Pandora's box that will forever change Sally's life. Read more reviews and learn more about the book at the book tour landing page. First, let me say how much I am enjoying the return of Summer Hours at work. This Friday afternoon, I was able to sneak in a date with my husband while the kids were still at the sports day camp that they attended last week. It wasn't a fancy date, but we were able to catch a movie without having the added costs of a babysitter. We went and saw Jersey Boys. We really like the music and have seen the show twice on stage. The movie stayed fairly consistent with the stage show, obviously with the added luxury of having actual scene changes. Then, Friday evening - after fitting a quick cleaning of the first floor, we went out to a local Japanese Steak House for dinner with friends. After dinner, we returned to our house and visited for a while, while the kids played together. Saturday was a complete change of pace from weekends of late, we had no sports until mid-afternoon and we only had 1 game. It was great to fit in a trip to the library to check in for the summer reading program and our grocery shopping before we had to head to the field for my daughter's softball game. After the game, we made a quick trip to Kohl's to take advantage of our 30% discount and redeem our $10 Kohl's Cash that was set to expire. Then, it was an early evening of bumper boats, mini golf and go karts. Aside from my daughter swinging her golf club too far, one time hitting my son in the forehead, it was a good evening. We had dinner at the activity center and then headed to our friend's new restaurant to enjoy dessert - Salted Caramel Cheesecake and Flourless Chocolate Cake. Sunday was another relaxed day. I found time to get caught up on some laundry, get my hair cut, fill a prescription and do some baking. I made Carrot Cake Cookies, French Bread, Rye Bread, and two batches of Caramel Macchiato Biscotti. I had hoped to make some homemade cinnamon rolls too, but ran out of flour. In fact, I used a gluten free flour mix to make the second batch of biscotti and learned that you really need to use a little more fat with gluten free flours to get the right texture and since I hadn't, they were very crumbly - still very tasty, just more breakage than normal. I also discovered as I finished up my jar of yeast, that I should have been refrigerating the jar once I opened it. I clearly haven't done as much baking lately, because I hadn't had the issue before, but my French bread did not rise quite like it should have. Again, still tasty, just not as fluffy as we were used to. The rye bread seemed fine, but it is naturally a denser bread. Regardless, I was glad to have found the time to bake, I have been considering it every morning for the past week and usually find that I can't quite make the recipe and still get to work on time, so I had been reluctantly deciding not to bake each morning. We have a somewhat busy sports week, but with only one sport in the mix, it is a lot slower than we have been having. Still, the plans mid-week are definitely quick prep options. Now that it is summer, the kids are in camp and are packing lunches. Breakfast is generally a bowl of cereal or oatmeal before they head out. For my husband and I, lunch is a quick sandwich, microwave meal, leftovers or something on the go. Breakfast is a banana and a protein shake or bar. This post shared at Menu Plan Monday on I'm an Organizing Junkie. One of the challenges that I feel like I face in my house is a place to properly store things. Sure, I can usually find a corner, a basket, a shelf to tuck things away on, but it doesn't always feel very organized to me. One of the items that have been a challenge to store are our reusable water bottles and insulated travel mugs. Between the ones that we have purchased overtime - with filters/with chilled cores/insulated/fits the bike cup holder/for coffee and the ones that we have gotten through different events - summer reading club/sports/store events/vacation, we have more than our fair share of reusable water bottles. On any given day, several will be occupying the dish strainer in our sink but several need to be stored. The real challenge has always been the varying heights and some of them have straws - so even if I had cupboard space, they likely would be too tall for a typical shelf. We have what is supposed to be a coat closet at the end of our hallway near our garage door. Because of a feeling of lack of storage space and a desire to have some semblance of order, it has become more of a storage closet. It is where we keep our vacuum, we have two hanging shoe organizers, there is a shelf unit that holds our winter gear, my spring form pans, a roasting pan, my cookie cutters and up until a few weeks ago our water bottles. Their perch on the top shelf always felt like it was one bump away from having several water bottles come clattering down to the floor. Then, as I was wondering the web, as I so often do, I randomly came upon the idea of using an over the door shoe organizer to corral water bottles. I loved it. So, the next time that we were at Target, I picked up this inexpensive over the door shoe organizer and set out to organize my water bottles and travel mugs. My hall closets and pantry all have bi-fold doors, so they weren't options for me for hanging it, so I settled on the back of the laundry room door. It keeps them out of the way, but still readily accessible, just a few steps from the kitchen. I really am pleased to be able to store 24 water bottles and travel mugs out of the way. The crazy thing is, I still have 4 or 5 in my kitchen - the one I take each day to the gym, one for each of the kids to take to their near daily sports practices or games and summer camp, the one that I take coffee to work in each day and one other for those days when we have back to back sports and need more than one water per child. In addition, now I have regained a shelf, plus some random other space where some additional mugs were tucked away, that allows me to better organize other things. FOREVER AMISH from Kate Lloyd! Enter to win a Kindle and an Amish-made prize pack! 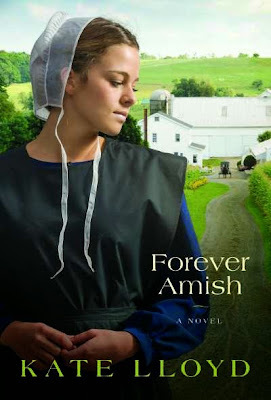 The latest book in Kate Lloyd's Legacy of Lancaster trilogy, Forever Amish, introduces us to a young woman about to uncover a shocking secret and find an invitation to a new way of living. This is a story of forgiveness, legacies, and the ties that bind through generations. Kate is celebrating by giving away an Amish-made prize pack! Enter today by clicking one of the icons below. But hurry, the giveaway ends on June 29th. Winner will be announced at Kate's blog on July 1st. Tell your friends via FACEBOOK or TWITTER and increase your chances of winning and be sure to stop by Kate's blog on July 1st to see if you won! No compensation was receive for this post. I received the information for this post from the publicity group. I have always been fascinated by the Amish. My fascination began as a child, when some of our neighbors moved to Indiana and lived near some Amish communities. We went to visit our neighbors and saw the Amish. I always thought there was something appealing about their lifestyle...sure I loved my jeans and tennis shoes and loved that I had electricity, but their life was so simple...in some ways similar to the life that I saw on Little House (one of my favorite shows). It piqued my interest enough that I even did one of my high school term papers on the Amish and Mennonites, which allowed me to learn a lot more about them. 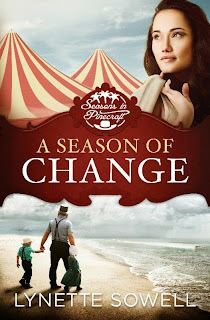 Natalie never had really paid attention to the Amish, but when she gets a package at Christmas from her dad with things that had belonged to her mom and meets an Amish family at the hospital where she visited as a clown to cheer up kids, she finds herself eager to learn more about the Amish and her family. She contemplates whether she could ever be Amish. When she finds herself drawn to Jacob and becoming attached to his family, she knows that she needs to consider seriously whether she could become part of her mom's faith. This was the first book that I have read by Lynette Sowell. I really enjoyed her writing style and the way that the story was told from many view points. I felt like I had a glimpse inside several of the characters and as such, was able to get to know them a little more. The story moved along at a nice pace, taking time to paint the picture but also keeping the story progressing. The struggle that both Natalie and Jacob experienced with their emotions and need to be true to themselves was very real. I am excited to see that there is another book planned for this series that will be published later this fall. It revisits one of the characters that was introduced in this story...and I hope that we get to see a glimpse of the continuing story of the main characters from A Season of Change. Amish widower Jacob Miller believes it was a mistake to visit the Amish village of Pinecraft for winter vacation, especially after his daughter is struck by a car. Stranded in Sarasota until his daughter recovers, Jacob grows increasingly wary of events that unfold in his unfamiliar surroundings---including the strange curiosity of Englischer Natalie Bennett. Natalie never thought her circus career as an aerial silks artist would end with a blown-out knee at the age of 25. She also never knew her late mother had a secret---that she was once Amish. When Natalie meets the Millers at the Sarasota hospital, she is attracted to their warm hospitality and simple ways---and soon wonders if they can help her find her mother's family. As Jacob and Natalie fall in love, their worlds collide. Will their differences tear them apart? Or will their love be strong enough to blend their clashing cultures? About the author: Lynette Sowell is the Carol Award-winning and ECPA best-selling author of more than 15 titles, including A Season of Change and Tempest's Course. When Lynette is not writing, she works as a medical editor and part-time newspaper reporter. She makes her home in Copperas Cove on the doorstep of the Texas hill country. You can find more on this book, on the blog tour home page. The information for this post was provided to me through the publicity group. Recently, I seem to be able to make more time than normal for reading. One of the places that I have been spending time reading is on the deck, while watching the kids play in the back yard. We have had some great weather for sitting outside and reading in the afternoon (the deck is conveniently shaded in the afternoon - it gets the morning sun). 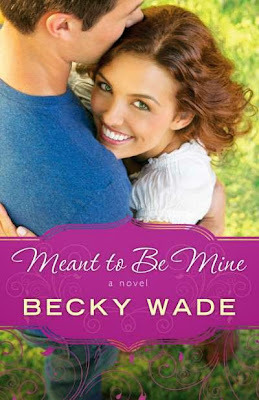 This past week, I spent some of my time reading Meant to Be Mine by Becky Wade. The story starts with a look back at the weekend that Ty and Celia got married in Vegas, five and a half years ago. After the first two chapters share the details of the weekend, the story quickly jumps back to the present day, where Ty once again finds himself in Vegas, this time for a bachelor party and we learn that Celia is working and raising a daughter in Oregon. Inspired by seeing the chapel where they were married, Ty looks up Celia and heads to town to visit her. She assumes that he is finally coming to ask for a divorce, but when he learns that he is a father, things begin to change. The story that unfolds is heartwarming. Becky Wade does a great job of developing the characters and pulling you into their lives. The characters were so realistic. They were selfish and struggle to forgive. They run from God when they most need Him and only realize that He was there all along, once they finally return. I enjoyed that Celia is a strong, proud woman who wants the best for her daughter and does her best to protect herself and her daughter from Ty. I loved how Ty did his best to take care of his daughter, and her mother, not seeking anything in return and doing some of it without them knowing. I found myself rooting for them to really see what they have and to make it something more before it slips away. This is the first book that I have read by Becky Wade, but it turns out that she has other books and that this novel is the second Porter Family Novel. Since I enjoyed this novel so much, I am already planning to find a copy of the first book in the Porter Family Novel series, so that I can catch up on Meg and Bo's story - characters that I met in this book. Ty Porter has always been irresistible to Celia Park. All through high school---irresistible. When their paths cross again after college---still irresistible. This time, though, Ty seems to feel exactly the same way about Celia. Their whirlwind romance deposits them at a street-corner Las Vegas wedding chapel. Becky makes her home in Dallas, Texas with her husband, three children, and one adoring (and adored) cavalier spaniel. Her CBA debut, My Stubborn Heart, was a finalist in both the RITA and INSPY awards. Undeniably Yours kicked off her Texas-set Porter Family series. Her newest contemporary romance, Meant to Be Mine, has just hit shelves! As a child, my mom signed me up for a Just for Girls book club. I remember having the opportunity to read what I thought were really good books. I still have those books and hope that someday, that my daughter will enjoy them - although, I do worry that some of those books might seem 'dated' to today's generation. I also have several other classics that I loved as a child that I want to share with her. For my son, I am a bit at a loss - I'm pretty sure that Anne of Green Gables and Little House on the Prairie will not appeal to him. We have found some wonderful series for him, but I am always on the hunt for other books and authors for him. 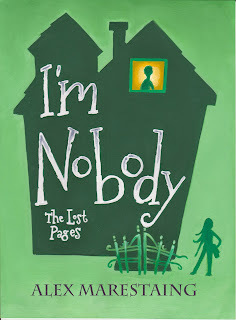 So, when I got the chance to review I'm Nobody: The Lost Pages, I decided it would be a good opportunity to preview a potential book for him. The book is recommended for ages 9-12. I will be honest, it took me a while to get started in the book. I am not really sure why, but I found myself reading a page or two and then getting distracted. I would come back and again, only read a page or two. It really wasn't until about Chapter 3 that I got to a point where I finally started to be pulled in and wanted to learn more about Caleb. I found myself wondering, what was real, what was in his imagination - and wanting to read more to help solve this mystery surrounding him. I really wanted to better understand the back story and how he came to be a 'prisoner' of his own home for 7 years, afraid to go outside and enclosed in a house where the curtains were always drawn. The author provided this detail in progression as the story unfolded. I found myself cheering for him as he began to finally adventure outside and slowly come to not only spend time outside of his home but began to interact with others outside of his family and even develop a friendship with Iris. As he ventured out, he was finally able to start to remember things about his sister and allow himself to move forward. I enjoyed the book - it was definitely different than the typical book that I read, but it was a good story that made me think about the power of friendship and importance of grieving. The characters felt real and the story progressed nicely - once I got past the first two chapters - and I read it all in one morning. The author used vivid details in describing the settings of the story - as an example he described the comforter that used to be on Caleb's sister's bed - " the fluffy green comforter that practically devoured his sister in its warm and cozy arms". There were some points that were a little confusing - like a voracious reader that didn't connect the name Emily Dickinson with that of the poet, but looking beyond the little things, it was still a good book. My son is on summer break now and is already balking at the idea of having to read over the summer, but I will suggest this book to him and wonder what his response will be to the characters of Caleb and Iris. We're all broken on this side of heaven, but we can make beautiful things from the pieces. Agoraphobic Caleb Reed is about to step outside for the first time in seven years, meet indie filmmaker Iris Elliott . . . and definitely not fall in love. It's all because of the notes, the weird and wonderful notes he keeps finding on his front porch, notes signed by someone claiming to be long dead poet Emily Dickinson. Caleb's parents think he's losing his mind, as always, but he knows they're wrong. Something's going on outside --- something strange, something terrifying . . . something beautiful. Author Alex Marestaing loves to create. He's written for media outlets such as The Walt Disney Company, Lego, Thomas Nelson/Harper Collins, and The Los Angeles Times and has authored three YA novels. 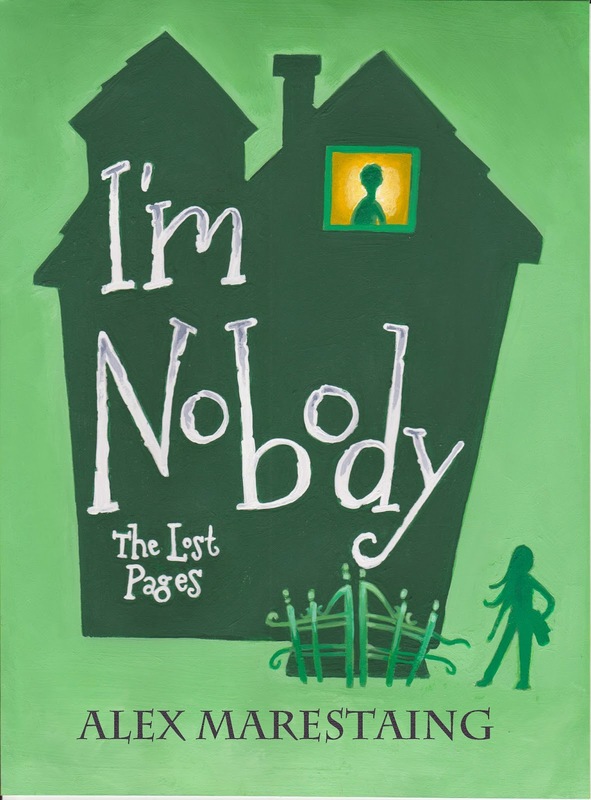 His latest, I'm Nobody: The Lost Pages, recently won an honorable mention at the London Book Festival and was nominated for a 2014 Epic Award. Though he spends most of his time imagining ideas for the youth market, he's also written for faith based publications and has covered his favorite sport, soccer, in Europe and the U.S. for Sports Spectrum Magazine and Yanks Abroad. When Alex isn't writing or speaking at conferences, you'll most likely find him hanging out in California with his wife, three kids, and Milou, his dog. You can find the author on Twitter, Facebook and his website.